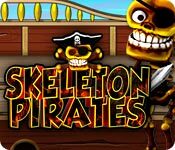 Skeleton Pirates is rated 3.6 out of 5 by 40. Rated 5 out of 5 by Sapphire_Glints from A MOST EXCELLENT GAME !!! I cannot find words enough to thank all those who made this game and all those who got it to me. It has been loads of fun, challenge, joy and pleasure! Fantastic colors and size of characters. Though I am in the Expert category and own PvZ and lots of other BF games, this one has been one of the very best and at the same top level as PvZ. Playing it the second time over now, and it is still most enjoyable :) Careful selection and placement of silver and gold star chests as well as weapons placed strategically, have made this game satisfying and very entertaining. Much gratitude and respect to the creators of the game. Most excellently done!!! Rated 5 out of 5 by emi1y from Fun Strategy Game! 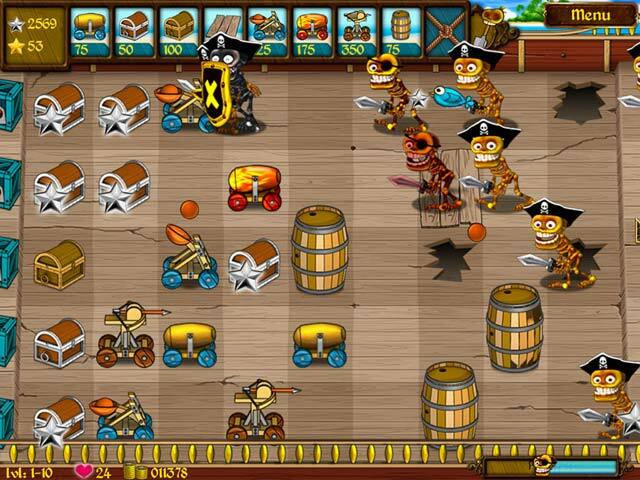 Skeleton Pirates is a strategy game very similar to Plants Vs. Zombies. The graphics are a pirate theme, so the colors aren't as bright and the graphics aren't as "cutesy" as PvZ, but still very well done. When I first started playing it, I wasn't so sure if I was going to enjoy it but bought it anyway. As it turns out, just like PvZ, this game is lots of fun and very addicting. A must-buy for all strategy/tower defense game lovers! Rated 5 out of 5 by nidalkoni from Cute and addicting game I adore this game. So many challenges to play. Lots of weapons to choose from, I like the TNT bomb the most, it takes out all pirates with one hit, I find this game to be addicting so does my kid. Rated 5 out of 5 by Mush2013 from Excellent ! Super!, its a fantastic game. I recommend it to all. Rated 5 out of 5 by sanjakam from Wow Factor this game is addictive and real fun, my wife and i compete all the time, i must admit she is much better player. i think the programmer team put so much thoughts and imagination in designing this game. good job and the price is worth it. i look forward to see more games from this team. Rated 5 out of 5 by Symeezcatzlady from Finally! If you love Plants vs. Zombies, this is the game for you. 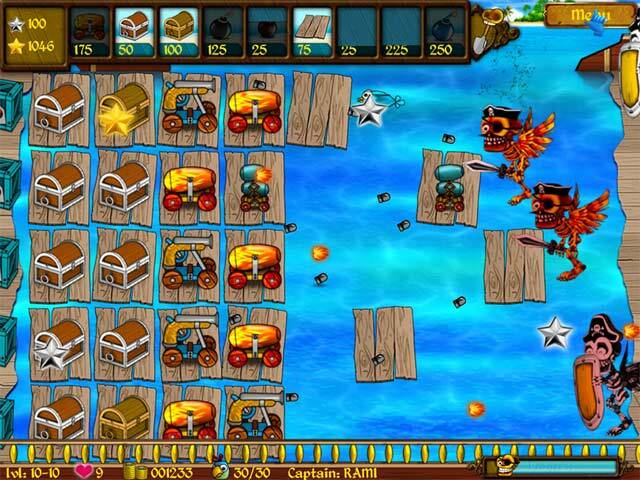 Many of the weapons are reminiscent of PVZ as is the general game play. I didn't like the graphics as much, but there are new twists on the old theme here. Try it! Rated 5 out of 5 by megs56 from PLANTS VS ZOMBIES MKII What a sensational game this is. I was sitting up until all hours this morning on my PC as I just couldn't leave it. Very similar to P vs Z, but one of the differences is that you need a gold star in addition to the silver star (same as the flower in the earlier game) for points to purchase weapons, so it takes up 2 slots in your weapons area. 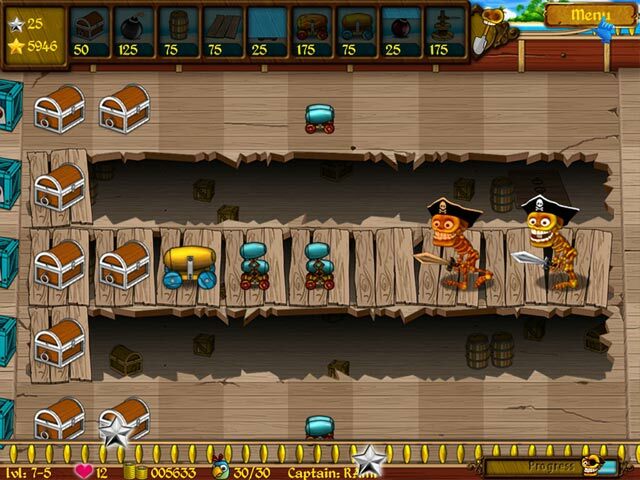 It's staged on the deck of a ship instead of a backyard, and you're protecting rolls of maps etc in your cabin, so obviously when the pirates reach your cabin, you have lost and have to start the level again after 3 lives have been used. It's a cracker game! I still play Plants vs Zombies now and any fans of this game must get this one.